Other photos: Photo 1, Photo 2, Photo 3, Photo 4, Photo 5, Photo 6, Photo 7, Photo 8, Photo 9, Photo 10, Photo 11, Photo 12, Photo 13, Photo 14, Photo 15, Photo 16, Photo 17, Photo 18, Photo 19, Photo 20, Photo 21, Photo 22, Photo 23, Photo 24, Photo 25, Photo 26, Photo 27, Photo 28, Photo 29, Photo 30, Photo 31, Photo 32, Photo 33, Photo 34, Photo 35, Photo 36, Photo 37, Photo 38, Photo 39, Photo 40, Photo 41, Photo 42, Photo 43, Photo 44, Photo 45, Photo 46, Photo 47, Photo 48, Photo 49, Photo 50, Photo 51, Photo 52, Photo 53, Photo 54, Photo 55, Photo 56, Photo 57, Photo 58, Photo 59, Photo 60, Photo 61, Photo 62, Photo 63, Photo 64, Photo 65, Photo 66, Photo 67, Photo 68, Photo 69, Photo 70, Photo 71, Photo 72, Photo 73, Photo 74, Photo 75, Photo 76, Photo 77, Photo 78, Manufacturer Provided Image, Manufacturer Provided Image. 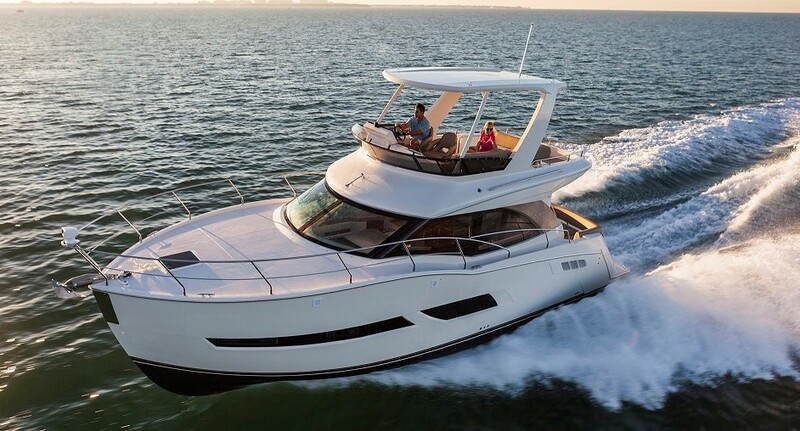 Once you step on board this Carver 41' CPMY it will be easy to see what we are talking about here. She is well optioned and has very low hours...ONLY 300...on her Volvo Diesel D6's and generator. With her two (2) stateroom two (2) head layout and a salon larger than most upstate apartments' spending extended time on board this Carver is no problem. While a walk-through will answer all your questions let us share that the soft goods are showing little to no wear, the galley is well thought out and both staterooms will allow for a comfortable nights rest. As for outdoor space, her cockpit is suited for relaxing, entertaining or an occasional fishing trip if the crew is restless. The help allows for great visibility and command of her machinery with ease. "The 41 Cockpit Motor Yacht with its generous aft deck features a roomy lounge with seating for six adults and its large cockpit invites all manner of water sports activities. Generous seating in the open salon enhances the overall comfort level and a face-to-face dinette completes the relaxed living space. The popular design offers two quiet staterooms complemented by two en suite heads. The tranquil master stateroom includes private sliding-door access to the cockpit for added livability. This exceptional layout is completed with beautiful handcrafted cherry wood furnishings and cabinetry in a superior high gloss wood finish. Constructed with C.A.S.T. system quality through and through, the 41 CMY is prepared for extended cruising (also by boasting the most fuel capacity in her class). Our Carver Docking System with bow and stern thrusters comes standard and a newly designed flybridge hardtop is available to the owner's preference." Her owners have truly enjoyed their time on board entertaining friends & family over the years but the time has come...offers encouraged. SYS Yacht Sales is pleased to assist you in the purchase of this vessel. This boat is centrally listed by FYT Marine.